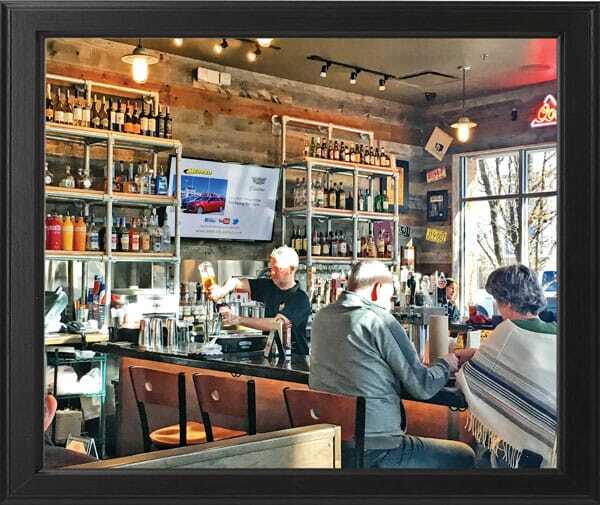 Bad Daddy’s Burger Bar opened in The Landmark at Greenwood Village in October 2015. I’m not sure why it took me until now to check this place out. During the warmer months, the patio is always crowded, and good smells are continuously emanating as I frequent their neighbors Hapa Sushi and the Landmark Theatre. 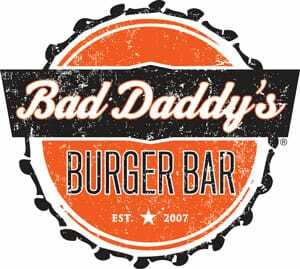 If you are hankering for a really delicious burger, be sure to check out Bad Daddy’s. Bad Daddy’s is a company-owned restaurant that is part of Good Times Restaurants Inc. Bad Daddy’s got started in Charlotte, North Carolina in 2007. The brand grew across North Carolina before expanding out west in a bigger way including Colorado. Some of their more popular starter menu items are the Fried Pickles, Daddy’s Nachos, and the Green Chili Cheese Tater Tots. My first Daddy-dining experience was for lunch on a Saturday afternoon with my husband, my 10-year-old son and my son’s buddy. Giving it the true test of kid-friendliness, Bad Daddy’s hit the mark with their kid’s menu, crayon coloring page, and welcoming mood. The atmosphere was low key and comfortable. 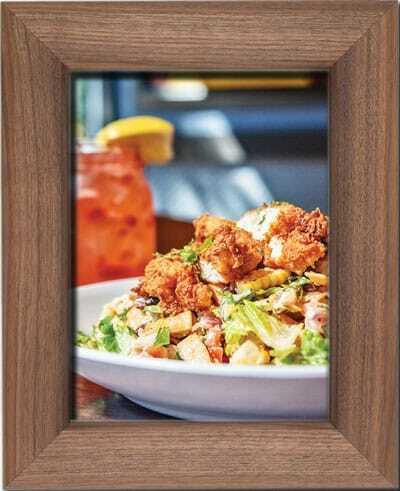 Televisions can be viewed from every table but not at a bothersome volume. Had I been dining without kids, the bar area was an open and inviting option also. When deciding what to start with, we opted for the fries. But which fries should we choose? My husband wanted sweet potato fries, and I wanted the hand-cut french fries. When our waiter approached the table we asked if we could order the fries with half sweet potato and half regular french fries. He was happy to oblige and brought out our mixed menagerie shortly after with a side of aioli and barbecue sauces. The four of us devoured all of those yummy fries in nothing flat. They were fabulous! And what better to wash them down with than Bad Daddy’s house-made lemonade? Delish! Onto the main course; decisions, decisions. Some of the “non-burger” options were calling my name. 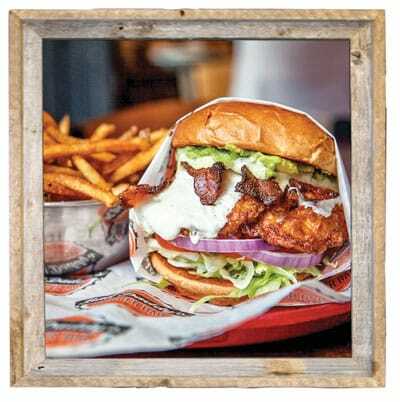 Bad Daddy’s offers several different sandwich options and also some good-looking salad selections. Lettuce, cabbage, chicken breast, mandarin oranges, cilantro, peanuts, red bell peppers, green onions, wonton strips all in a peanut soy dressing. Sold on the Asian Salad! Wait a minute… I’m at Bad Daddy’s Burger Bar, after all. I need to sink my teeth into one of those burgers. Their most popular burgers are the Bacon Cheeseburger on Steroids, the Magic Mushroom Burger, and the CYO (Create Your Own) Burger. I was once again pondering my options. The Bacon Cheeseburger on Steroids includes six, count them SIX, pieces of bacon (three of which are jalapeño bacon) and Bad Daddy’s bacon mayo. Hmmm… My hubby opted for the Pastrami Reuben Burger, which comes on rye toast with Swiss cheese, Thousand Island dressing and sauerkraut. He is always a sucker for a good Reuben. After reading and re-reading my options, I decided I couldn’t pass up the Magic Mushroom Burger. Since Bad Daddy’s prides itself on their CYO menu, I was pretty sure I could modify my order without a fuss. I opted to add onion straws, and as anticipated, the waiter was completely unfazed by the request. Let me tell you, that was one delicious burger. The onion straws were piled so high that my son made a separate side dish out of the extras. My perfectly cooked burger was topped with sautéed morel, shiitake, chanterelle and oyster mushrooms. They did not skimp on the mushrooms, which were plentiful and cut thick. Combine that with Swiss cheese, arugula and Bad Daddy’s creamy truffle aioli all on a buttery brioche bun and you have got yourself a winner! While the adults were stuffed to the gills and unable to indulge in dessert, the growing boys still had a little room and, of course, a sweet tooth or two. Bad Daddy’s offers a kid’s ice cream sundae with chocolate syrup and sprinkles for only 50 cents in addition to any kid’s meal, which was a welcome treat as well as a great value. Happy Hour and late-night menu is 3 p.m. to 6 p.m. and 8 p.m. to close. No reservations necessary. Discounted starters and drink specials. 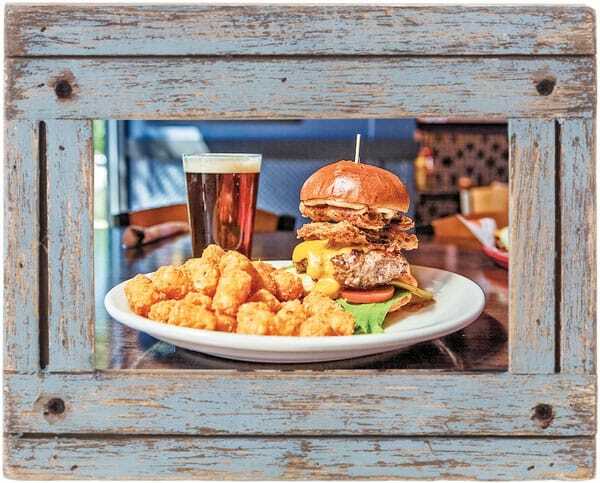 Open Sunday through Thursday 11 a.m. to 10 p.m.
Each month The Connection Food & Dining guide features a restaurant we think our readers will enjoy. 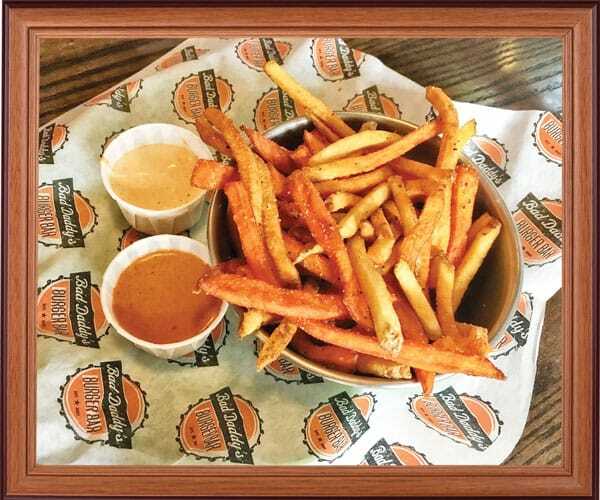 With March Madness on the horizon, we decided to spotlight a place that offers sports viewing and more than just your typical “bar food.” Bad Daddy’s offers delicious burgers whether you stack it up with everything including the kitchen sink or keep it simple. All establishments that have been featured in The Connection are listed on our website. Visit www.castlepinesconnection.com to find someplace new or to revisit a forgotten favorite. We hope you enjoy the establishments we have featured. If you have feedback or restaurant suggestions, please email Editor@castlepinesconnection.com. We would love to hear from you!